He was initially suspended on 8 June for 90 days by the adjudicatory chamber of Fifa's independent Ethics Committee. The committee are carrying out a formal investigation into Nyantakyi after he was filmed apparently accepting a "cash gift". Some of the footage from Anas' film was later broadcast by the BBC World Service's investigation's programme Africa Eye. 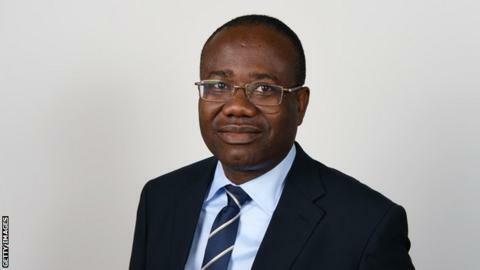 Soon after the ban on 8 June Nyantakyi resigned from the posts he had held with football's world governing body, Fifa, and the Confederation of African Football (Caf).